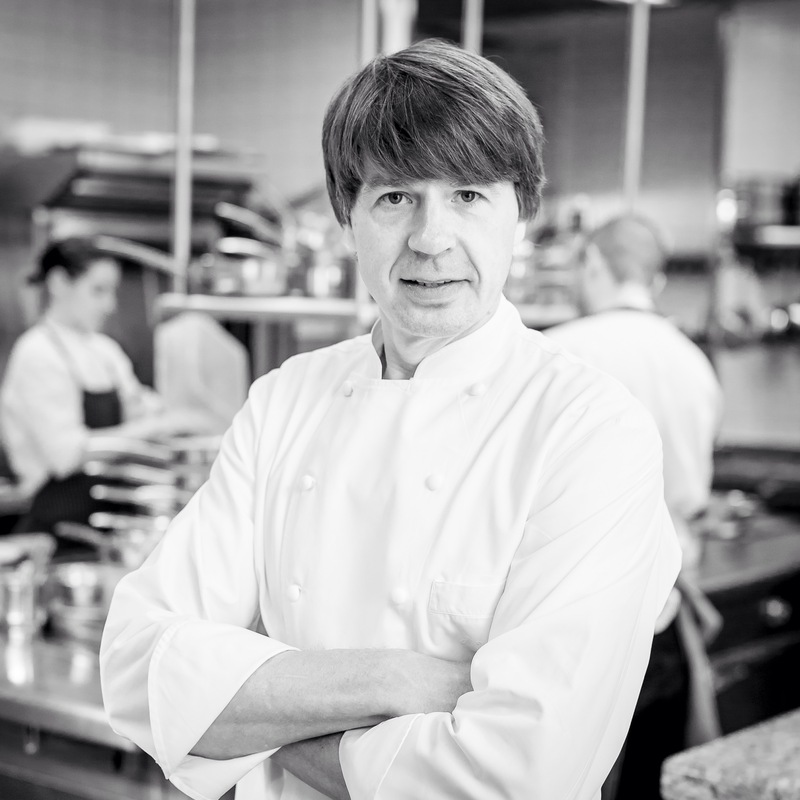 Joachim Wissler, German chef of Restaurant Vendôme, is considered to be one of the best German chefs if not the best. He heads the 3 Michelin star restaurant in the Schloss Bensberg hotel in Bergisch Gladbach, near Cologne. He is known for his blend of classical cuisine, creativity and modernity. The restaurant is number 12 in the World’s Best 50 Restaurants 2014 and also the highest ranked German restaurant. He gave an excellent presentation at Chef Sache recently (more on this in the coming days) and also accepted to be interviewed by Food and Wine Gazette. In this interview he speaks about the importance he attaches to stories behind each dish. I´ve had my apprenticeship in classic French cuisine. Over the years you change as a chef. You can hardly use terms like “avant-garde, modern or classic” to describe my style of cooking. My cuisine and style is part of me. I want to express memories, experiences and imaginations that really excite me on the plates or dishes. You said all your dishes need to have a soul and need to tell a story. How do you come up with the stories? Does the idea come first or does the story come first? During a lifetime, every human being collects data; smells, fragrances, tastes and of course memories. Growing up on my parent’s farmyard, I have collected a lot of memories. So that’s for example how my dishes come to life. But it’s also my curiosity towards the future and new things that allow me to create new dishes. I cannot really say what comes first. Many plates for example, start with an idea and then gain a soul through the story. Sometimes, I remember primary aromas from my apprenticeship and then bring them back in different combinations. It’s actually quite simple. Luckily the positive memories are always predominant in our minds. And we also have a lot of food memories from our childhood. On my parent’s farm, I have great memories of smells, tastes and food experiences, so subconsciously, I always have a desire to express these memories in my dishes. Such as the smell of fresh hay or the smell of a mushroom which grew in a specific field on my parent’s farm. I still recall the taste of beetroot, which has always been served on Friday back in my childhood as a salad with jacket potatoes and fried egg. This awakens a desire in me to revive that taste in my dishes. How long does it take you to prepare a dish? Between 2 and 6 months, considering that we build most “presentation platforms” in house. That means that you rarely see actual plates for the first few courses here at Vendôme, which is very special. You are highly regarded as one of the best if not the best chefs in Germany? How much importance do you give to guides and lists? Are these the driving force? Only to a certain extent. At the beginning, you obviously care about all these ratings and guides, but I believe that I have, personally, reached a point where I am freed of any expectation. So the driving force for me is to do what really excites me, like bringing back childhood memories and feelings I would like to express with specific ingredients. This also means that I am never chasing momentary trends. I only do what I really believe in. What are the main trends you see in the culinary world today? The passion and lust for good food will be accompanied by people wanting to visit a restaurant, but not wanting to feel like being in a restaurant. The hedonists, foodies and people who just love good food, nowadays tend to prefer restaurant concepts that are relaxed but have a high quality standard without any etiquette and in an authentic atmosphere. Where do you think we will be in 5 years time? The world won’t be spinning faster in 5 years from now. In the future, there will always be chefs that will gain a lot of attention and create or cause a trend for what they do. This has also happened in the past. However, the marketing, the building of a brand and merchandising the chef will be much more important in order to lead a restaurant at the world’s top end. There has been a lot of discussion around the issue of food waste? What can be done about the issue? How do you approach the subject? The best waste is the one that doesn’t even come into existence. That’s my way of dealing with this subject. What´s nice about my career is that I became what I am without having a mentor. That took a bit more time in the beginning, but looking back I believe it was the better way. A Chef that inspires you? Well, actually every chef I had the pleasure of enjoying a sensational dish. My understanding of inspiration is a different one. It´s not the actual dishes that inspire me but rather the chef´s thoughts and how the story of the dish evolved. Sensational plates always have a story. Your best ever meal? What was it and where? Luckily, there is a “best meal ever”every year. Quite certainly I could name more than 30 “best meals ever”. From Thomas Keller to Ducasse in Monaco or Michel Bras and many more. I don’t even want to speak about my many visits to El Bulli. They have always been very special, which means they are not in the category of “best meal ever”. What is the best dish you have ever made? It’s the same with the best meal. I have personal best dishes every year. The one dish that people constantly come back to is the “braised pork chin with lovage and Cèpe mushrooms” from the year 2001.